The last time I was supposed to write something like this, I had to postpone indefinitely because of my sleepless baby. That was more than a year ago. I still haven’t written it. The mother is to remain still most of the time, ever worried, poised to wake up if the child falls asleep, poised to stop mid-step, if she is running, ever ready to remove and to arrange and to groom and to wash. 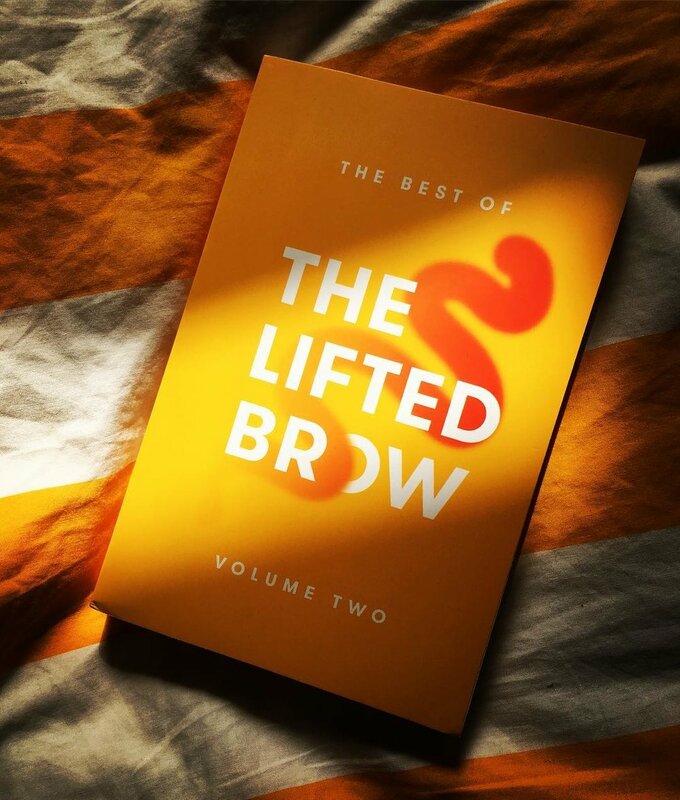 I met the editor of The Lifted Brow Review of Books at ‘Sleep School’ in Footscray. I was wishing that a big hole in the ground would swallow me up. We bonded over literary interests while eating institutional sandwiches and smuggled-in Ethiopian food. It’s time to go back downstairs, like I said I would. To go and see the baby, to touch the baby. I should just start rolling, like a marble, and like a marble tumble all the way back down the stairs, unstoppably. The summer before I became pregnant, I crashed my bike on a wet hill in Coogee, NSW. I don't remember it. In hospital, the nurses asked whether I might be pregnant, whether it was safe to go into x-ray. I didn't know – was I still seeing Ryan? My friend leaned over and reminded me that we had broken up months ago. I was devastated. After the birth and the massive blood loss there was an operation, then several transfusions. A series of disasters. Then the septicaemia arrived to crown them all. I only heard about this afterwards…I would think, Something bad must have happened, and then I would go straight back to sleep. A piecing together of fragments. Zombie blowflies dancing around the room. The occupational therapist would only let me out of hospital if I scored 100 per cent on the memory test, three days in a row. It took me a week. The blowfly of that other night needs shooing. Last time we ended up with a dead cat, and nobody should die today. But, what is this? There is no blowfly here, I think, and I hit my head against the wall. I run upstairs. I met Patrick through Tinder. I took the morning after pill. Four weeks later, I was pregnant. I give up: I can’t remember the first time I disappeared inside the parenthesis. I told some friends; that it might be ectopic. One sent me a study about how abortion is not traumatic. Those women, chewing on the tips of their spoons and biros in agony, were stuck between the right to have a child and the duty to have a child. They formed long queues at the clinics of psychoanalysts and pedicurists. mundane, man-made place of pilgrimage, that barely exotic version of a jungle known as the Paraná Delta, a place he admired as if it were a painting or a prehistoric bone. It was muggy and dark. I feared loneliness. My legs were bitten, aggravated. That night when I went swimming in the Paraná river, turning back seemed difficult. I drank too much red wine, ate too much grilled thymus. I woke up at five AM and vomited across the walls of the fibro toilet shack. I should have left, but I’d decided a few days earlier that I wanted to be a woman. I wanted to stay, at any cost, as long as I could afford to. I was even prepared to practice the strange gymnastics of self-sacrifice, if necessary—to flux my voluptuous female imagination, to believe in tragedies, like believing in a storm before the afternoon has yet turned black. In the weeks before Sleep School, we walked the streets, with the baby strapped to our chests, hoping that she’d fall asleep, stay asleep. The baby started crying whenever I passed her to Patrick. My back ached, my head reeled. “She just wants her mum,” he said. I’m not that kind of mum. “Ladies first,” he said as he opened one of the bevelled glass doors. “I’m not a lady,” I explained. “Where’s Isaac?” Ivan asks me now. Finally, he turns around. He thinks he’s overcome the feeling of mistrust he felt towards me; he doesn’t realise he’s about to discover an even greater motive for it. Breastfeeding made me pimply again. I pick at my face: at real pimples, at imaginary pimples. I hide in the bathroom. I do it after Patrick’s asleep, or while he’s too busy to notice that I’m spending too long in the bathroom, that I’m too quiet. My breasts had seemed like two errors, a millennium-old misunderstanding. I would have liked to walk out naked and say: This is nothing, you know, it’s just a mammary gland with a slightly more sensitive bit on the end, surrounded by hair, and the skin covering it is coarse; Look! Look at this! Look at these little pimples, bring microscopes! My face is red and raw. I try to cover it up with a face-mask. It dries beige, with darker oily patches around my nose, lips, and chin. Maternity equals contingency: one must surrender to it, embrace it. 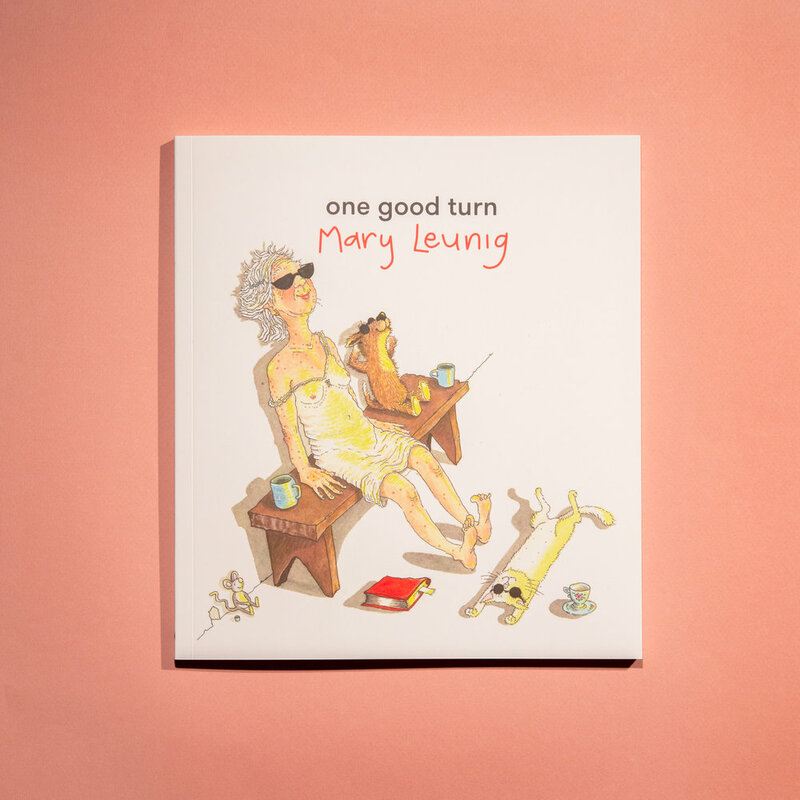 After giving birth, I only wanted to read books about early motherhood. With desperation. When I read Sally Rooney’s Conversations With Friends, and Elif Batuman’s The Idiot, on recommendations from baby-less friends, I couldn’t get over how puerile their concerns seemed. I’m sure I would have loved those books before. Instead, Rivka Galchen’s Little Labours jolted me with biting observations and metaphors (baby as puma). Jessica Friedmann’s Things That Helped made me feel less alone. Sarah Menkedick’s Homing Instincts annoyed me, but reminded me to try to enjoy breastfeeding while it lasted. Meaghan O’Connell’s And Now We Have Everything: On Motherhood Before I was Ready spoke to my un-readiness, provided a literary path for unplanned motherhood. Beside my bed: Maggie Nelson’s The Argonauts, Jacqueline Rose’s Mothers: An Essay on Love and Cruelty, Rachel Cusk’s A Life’s Work: On Becoming a Mother. None of my pre-baby friends wanted to talk about these books with me. Should a mother review Imminence? Does my experience matter to anyone but myself? Should the recognition I felt upon reading the book count for anything? Does it give me some kind of authority? The unexpected pregnancy. The spectres of men. The resentment of a woman’s body, of maternal-biological entrapment. The uneasiness with one’s own child. The female friends who talk about maternity as failure. The fear of being abandoned. The apartment in Buenos Aires. The long drives into regional Argentina. The dreamlike domestic disasters: the baby’s cot falling apart, the flooded junk room on the rooftop terrace. Reading Imminence was an experience of over-identification. Every page was a blowfly that triggered some recollection of my own. I felt like a selfish reader; now I’m a selfish reviewer. Contingent upon the text, unable to step back from it. The ‘I’ is unnamed. The voice is calm, almost sinister. The action takes place over a single night and yet it includes a history of multiple interwoven and turbulent relationships, as if time were suspended (sleepless nights, delirium) and people merged into each other. No: the first time I put myself in a parenthesis, nestled safely between an x and a y, must have been with Ludmila. Instead of inside a parenthesis, I put myself in the main clause. I was often lost, reading Imminence. The tangents sometimes went so far off course that I scrambled to find my way back. It’s as if the story itself is inside a kind of meta parenthesis. It was easy, too easy, to detour via my own life events. One way of attempting critical distance, in the process of writing this ‘review’, has been to remember that Imminence is a translated text. 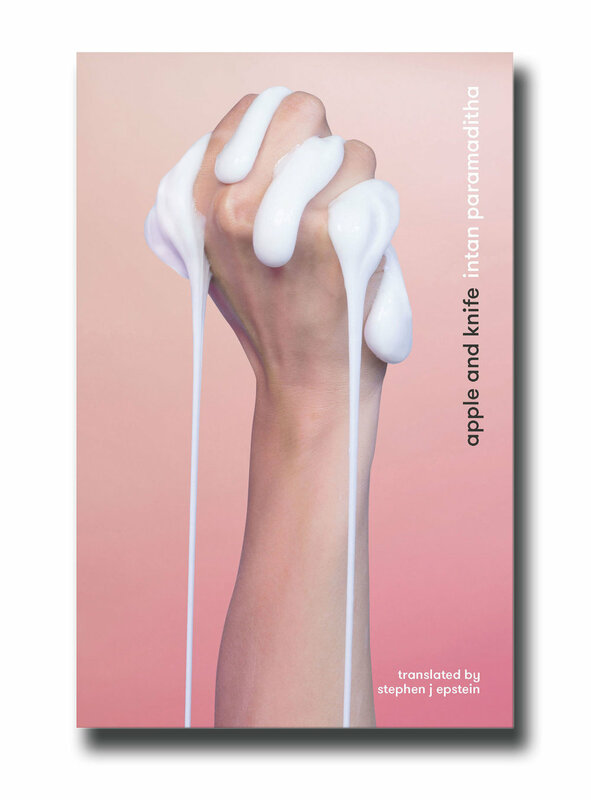 The translator is Alice Whitmore, a lecturer in Spanish and Latin American studies at Monash University, and Translations Editor at Cordite Poetry Review. Dimópulos is a translator, too, from German and English into Spanish (Castellano). She has written a critical study on Walter Benjamin’s work. Benjamin also wrote about translation. That year in Argentina, I attended a course called Las Problemas de la Traducción en la Literatura Latinoamericana del Siglo Veinte (The Problems of Translation in Twentieth Century Latin American literature), run by Professor Patricia Willson. I learned about the history of Argentineans translating from other languages into English, of the magazine Sur (1931–1970), which brought writers such as Virginia Woolf, Albert Camus, Aldous Huxley, Carl Gustav Jung, Vladimir Nabokov, and Jean-Paul Sartre into Spanish (or, more accurately, into Castellano, the de-nationalised language they speak in Buenos Aires) for the first time. Either the translator leaves the author in peace as much as possible and moves the reader toward him; or he leaves the reader in peace as much as possible and moves the writer toward him. …in the first case the translator is endeavouring, in his work, to compensate for the reader’s inability to understand the original language. He seeks to impart to the reader the same image, the same impression that he himself received thanks to his knowledge of the original language of the work as it was written, thus moving the reader to his own position, one in fact foreign to him. …[T]he more precisely the translation adheres to the turns and figures of the original, the more foreign it will seem to its reader. No one has his language mechanically attached to him from the outside as if by straps, so that one might, as easily as one would unharness a team of horses and replace it with another, harness up a new language as it happened to suit one’s frame of mind; but rather that each person produces originally only in his mother tongue, and that the question of how he would have written his works in another language ought not even to be raised. Walter Benjamin’s essay ‘The Task of the Translator’ (translated by Harry Zohn) provides a metaphorical framework for reading translations. He writes: “like a fruit and its skin, the language of the translation envelops its content like a royal robe with ample folds.” A translation might convey the translatable aspect of the original, but is only able to do so by shrouding it in an excess of language. …just as a tangent touches a circle lightly and at but one point…a translation touches the original lightly and only at the infinitely small point of the sense, thereupon pursuing its own course according to the laws of fidelity in the freedom of linguistic flux. There is no perfect translation except for an exact transcription of the text, but we should embrace translation (indeed, multiple translations) as a way of continually renewing the ‘original’, allowing it to reach its “most abundant flowering”. 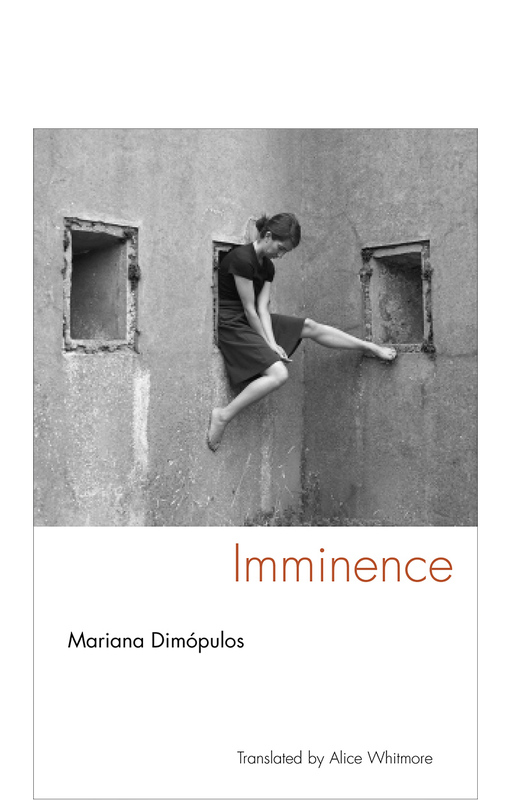 I haven’t read Dimópulos’s Castellano version of Imminence. When asked to write this review, I wrote to my friend Malena, who I studied with in Argentina, asking whether she had read the ‘original’. No tengo nada del seminario, en mis mudanzas fui tirando todo. No conozco a Dimópulos. (I don’t have anything from the seminar, I threw out everything during my moves. I don’t know Dimópulos). Malena did tell me, however, that she was about to give birth, that she was having contractions. I imagine her now, in labour, unfolding her new life. It’s too late to try to source a copy of the Castellano now. I’m writing this review while my toddler sleeps, my university assignments press upon me. While reading, I look for those clunks of Schleiermacher’s first method – is Australian English being foreignised here, is Whitmore bringing the reader towards Dimópulos’s Castellano? Perhaps it's a translation of además: also, besides, further, additionally. It doesn't really matter what the original word was. The point is: reading oncemore made me remember that book was not originally written in English, that it’s set in a world away from here. That it doesn’t describe my life. In the face of mounting political isolationism, translated fiction might just be the thing to save us. Translation provides a kind of window (if a temporary and sometimes foggy one) onto the experiences and imaginations of people we would never normally have the chance to observe. For the most part, though, Whitmore’s translation employs Schleiermacher’s second method. Dimópulos’ text is brought almost seamlessly into the English language. The prose feels fluid, studded with surprising metaphors and similes: “With her simple face like a crayon drawing.” Captivating and yet altogether familiar. So, the window sensation was mostly unapparent to me. I can’t blame my over-identification with the text on Dimópulos, or Whitmore. On fragmentary writing or on modes of translation. On the fact that I lived in Argentina once. I blame it on the passionate loneliness and the sleepless fever of my encounter with motherhood. I hope you will forgive me. I must have faith. The angel of contingency must be suspended from some building, somewhere in the city. 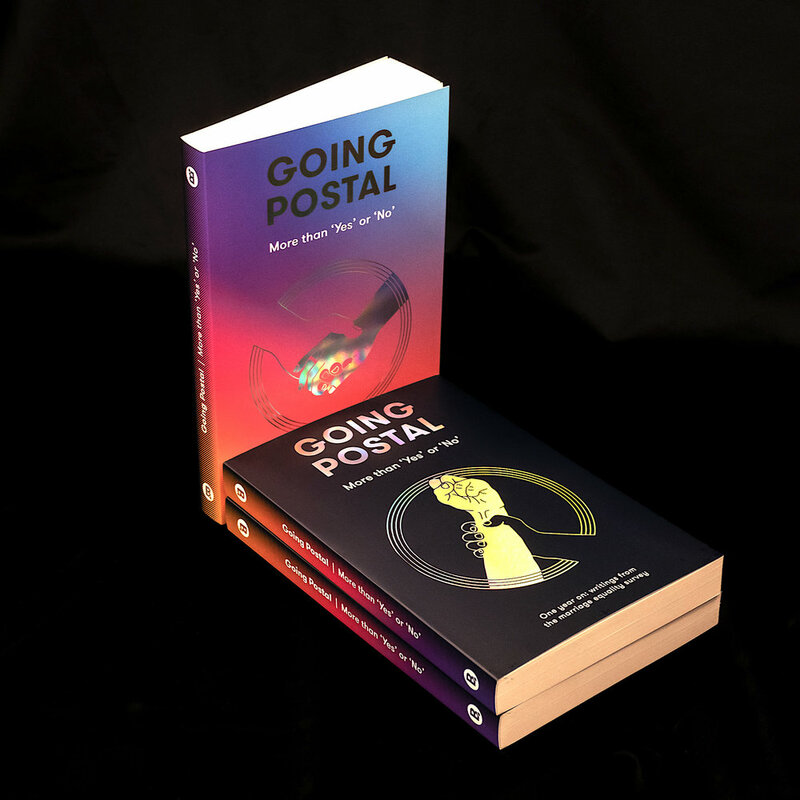 Stephanie Guest writes and studies in Naarm/Melbourne. She is one half of Guest, Riggs, a literature x architecture practice. 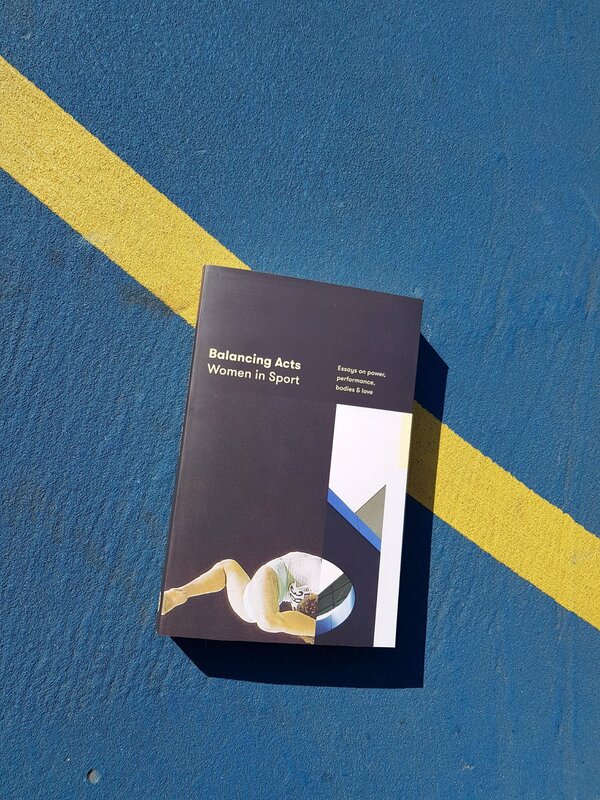 Their piece ‘An Architecture of Early Motherhood (and Independence)’ won the 2017 The Lifted Brow and non/fiction Lab Prize for experimental non-fiction.